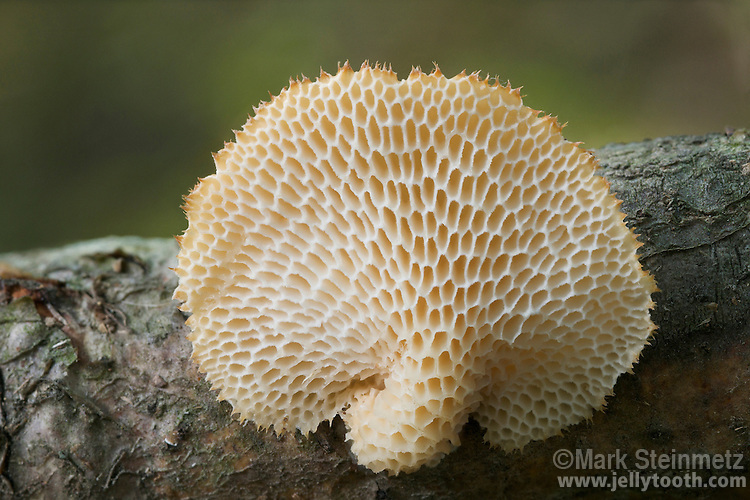 View from below of the honeycombed fertile pore surface of a Hexagonal-pored Polypore (Polyporus mori) mushroom. Polyporus alveolaris is a scientific synonym. Clear Creek Metro Park, Fairfield County, Ohio, USA.